Why Choose partypoker NJ ? 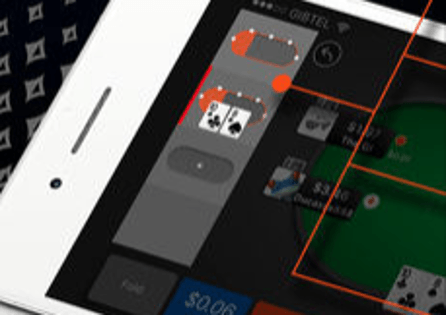 If you have an Android or an iOS powered device you can enjoy partypoker NJ while on the move. 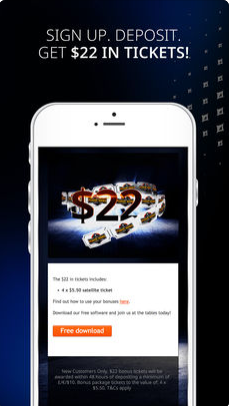 Cash games, fastforward poker and sit-and-go tournaments and casino gamse are all available on iPhone, iPad and Android. 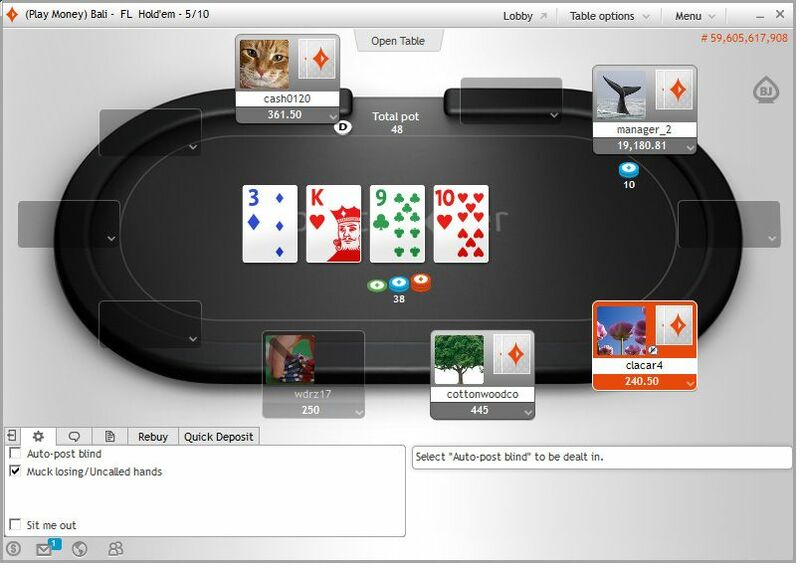 At present, however, the partypoker NJ mobile apps do not offer support for multi-table tournaments. 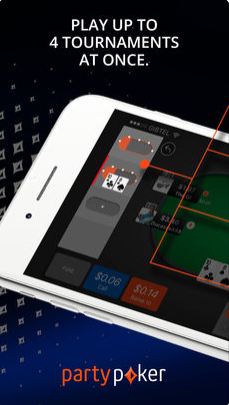 partypoker NJ real money mobile poker apps for iPhone and iPad can be downloaded (for free) from Apple's AppStore, while the free Android app is available for download from Google's Play Store. Since 2001, partypoker has consistently been one of the largest & trusted online poker sites available for real money play in the world. Its parent company, bwin.party Digital Entertainment, is the biggest gaming site listed on the London Stock Exchange. Partypoker New Jersey's operation has dealt more than 50 million hands since opening its doors to the poker-loving NJ public, and is the home of the Garden State Super Series (GSSS) online poker festival. partypoker New Jersey offers numerous bonuses and promotions to all the players who decide to open their account through PokerNews. In order to be eligible for all the PokerNews-exclusive offers, and be awarded with the bonuses described on this page, all you need to do is to sign up for an account by clicking on one of the links on this page. No bonus code is needed for partypoker NJ if you sign up for an account from PokerNews. 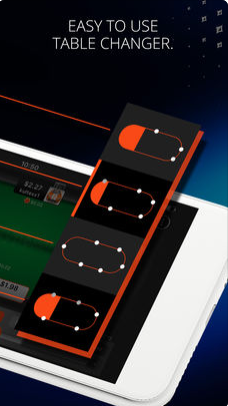 Making your first deposit at partypoker NJ can be financially rewarding to the tune of $1,000. 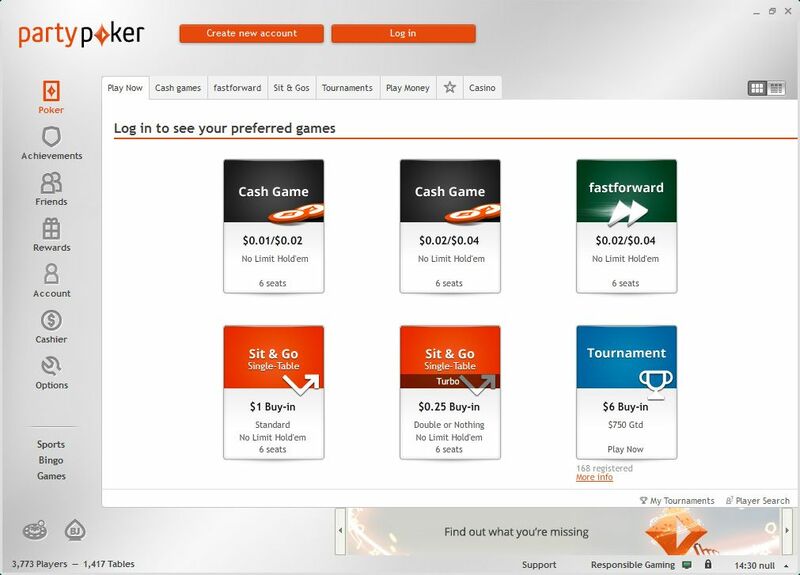 Deposit $25 into your partypoker account, and you will immediately find $50 available in your account. Put $200, online and a $200 bonus will be yours. Up that to a $1,000, and a $1,000 bonus will be placed into your partypoker NJ account. The welcome bonus is released in 10 equal parts each time you earn the required number of points. You earn two points per $1 in rake or tournament fees. Each time you generate four points, you earn $1 towards your bonus. What’s more, if you earn eight points in the party casino, you will earn $1 towards your bonus. There are buy-in levels to suit all budgets and skill levels, with cash games stakes starting at $0.01/$0.02 and increasing up to $5/$10. Most of the traffic is concentrated around the low-stakes no-limit hold'em six-handed cash games, but games up to $3/$6 run frequently. Also in New Jersey, Partypoker is home to fastforward poker, its offering to the world of "fast-fold" poker. When playing at a fastforward table, you can fold if you don't like your hole cards and then be instantly whisked away to a new table with new opponents and a fresh set of hole cards. And, if you don't like also these new ones, you can fold and keep folding until you find a hand that you like! 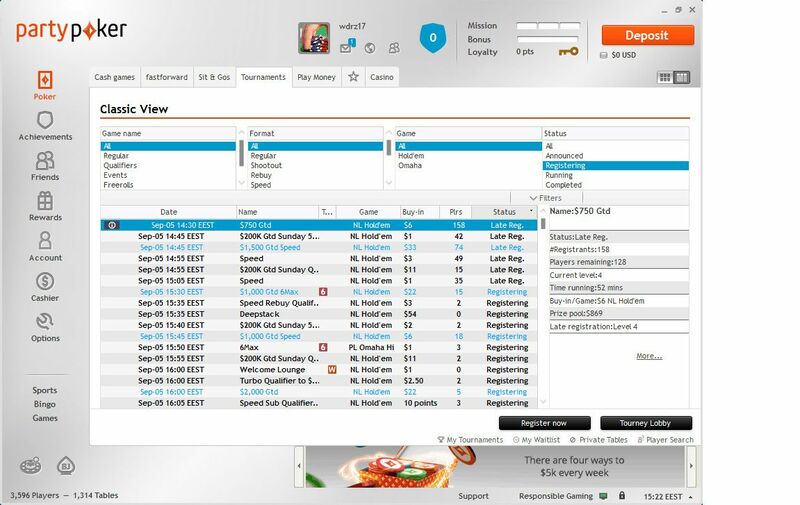 Should you experience a problem while playing at partypoker New jersey you can contact its support team via email or the live chat feature. Should you wish to try and solve your problem or query yourself, there is an extensive FAQ guide for you to use.